Main & Company has developed the reputation of being able to repeatedly and reliably manufacture components and assemblies to very tight tolerances and to successfully provide turnkey completion of parts that are believed to be “difficult” or even impossible to process in a standard machine shop environment. This ingenuity and “out of the box” thinking has enables us to provide parts machined from solid bar material (we call them hogouts) that were previously machined from very expensive investment castings and forgings. These approaches have enabled us to utilize our machinists and equipment more efficiently and ultimately allows us to offer significant cost savings to our current customers. We have accomplished this through creative fixturing, tooling applications and partnering with outside suppliers who share our enthusiasm for tackling the tough jobs. Through these relationships we are able to coordinate efforts to supply parts with special heat treat requirements, chrome plating, TiCN coating, special grinding pr lapping applications, electro-less nickel plate, NTD and analysis operations. It is our goal and our attitude that we will continue to improve our processes, techniques, and practices while maintaining the highest standards in quality. Main and Company maintains QMS certification for the AS9100D with ISO 9001:2015 Standard. 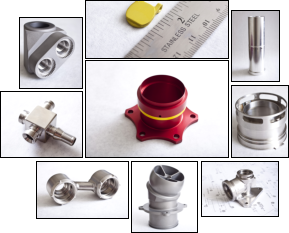 The scope of our registration covers both the manufacture of precision machined components and assemblies. We have continued to upgrade our inspection capabilities which feature an environmentally monitored quality lab with two state of the art fully automatic DCC Coordinate Measurement Machines capable of extreme accuracy and precision. Our customers have included Aeroquip / Eaton Aerospace, Allied Signal Aerospace, Bendix Corporation, Continental Motors, Lear Sigler, Thompson-Saginaw Ballscrew, RAM Aircraft, Biomet, Tri-med and National Water Lift. Current projects include critical components and assemblies for military and commercial aircraft. We continually work with our customers’ new product teams through planning, prototype, pre-production phases of new aircraft projects as well as for new components and assemblies for new programs. Our mission is to seek new opportunities to strengthen our future while we continue to provide our customers with outstanding service, delivery and quality performance. We have several CNC Turning Centers with a wide range of capabilities from small 5000 RPM machines for running parts as small as 1/8 inch in diameter, to large powerful machines with 40 horsepower and a turning capacity of 25 inches in diameter by 44 inches long and 4 inch capacity through the spindle. Our arsenal of Milling equipment includes 3 axis, 4 axis, and full 5 axis machining centers with size capacity up to 40 x 20 x 25 inches. We keep up to date with the latest versions of AutoCAD and Mastercam, as well as a large variety of translators such as Catia, IGES, DWG, DXF, etc. The materials that we machine on a regular basis include High Temperature Alloys such as Titanium, Inconel, and Incoloy. We machine Stainless steels such as 15-5, 17-4, 304, 410, and 440C. We also machine a lot of Aluminum, Bronze, Alloy steels, and even Plastic! We maintain certification to AS9100D with ISO 9001:2015. 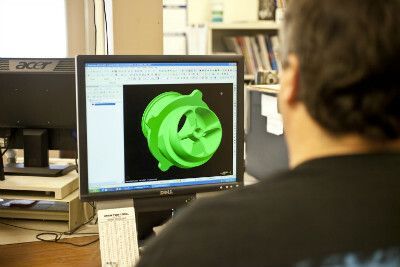 Our Quality Lab boasts two CMMs, a Zeiss Contura and a Renishaw. CMMs feature scanning, articulating heads for reaching 5 sides of a part, as well as automatic probe changers for extremely versatile, unattended inspection cycles. Our wide range of special processing partners allows us to offer turnkey completion of your parts and assemblies including: Heat treating, grinding, lapping, plating, hard coat and standard anodizing, TiCN coating, Laser part marking, Non destructive testing such as Magnetic particle inspection, Fluorescent Penetrant Inspection, and X-Ray.